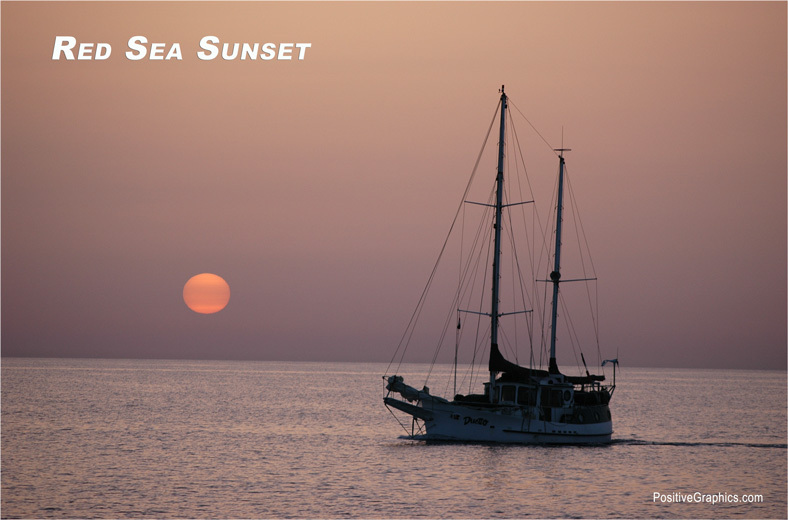 Red sea sunsets are different than typical trade wind sunsets found around the world. In the trade winds, rows of cumulus clouds rule the skies. Cumulus clouds are the products of convection created by the hot tropical sun. The cumuli start small in the morning, and all day long they develop vertically, sometimes becoming so large that they form massive thunderstorms. (cumulonimbus clouds) After the sun goes down, the cumulus clouds melt from the sky. Many times at sunset, I stare at the individual clouds and watch them break up and disappear. The spectacular sunsets found in the trade winds are usually cumulus sunsets. 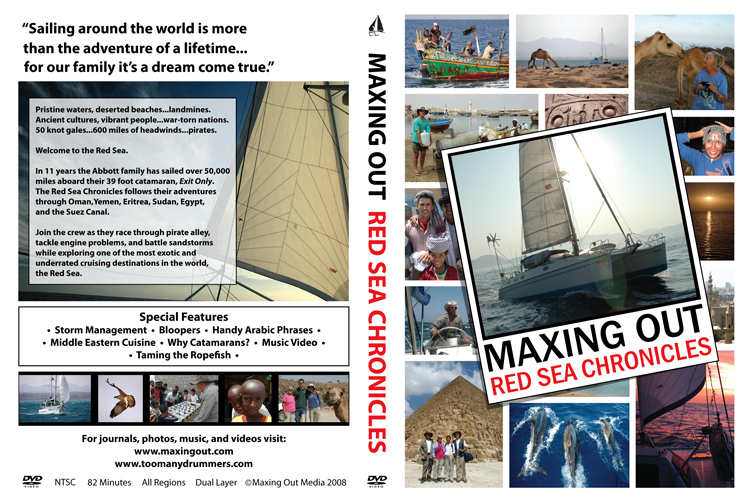 The Red Sea is smaller than the major oceans, and convection doesn't make such a large contribution to the sunsets. Although convection and thunder storms do occur, they don't dominate the sky. 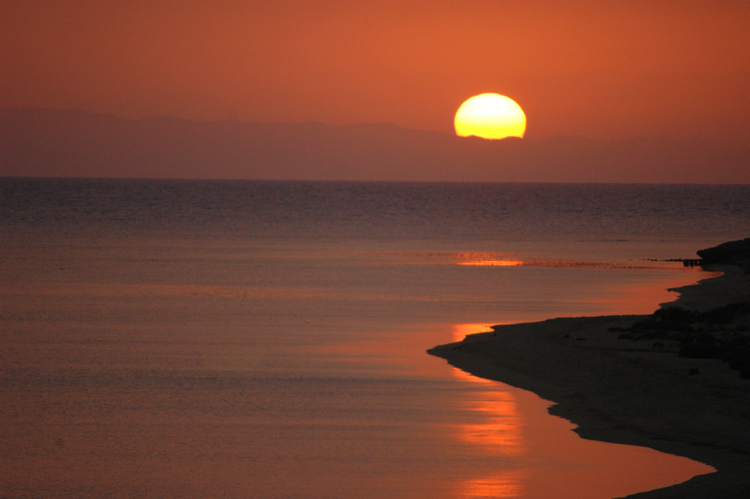 The Red Sea is so narrow that the weather from land sweeps over the water and paints the sunset at night. The middle eastern deserts put tons of dust in the atmosphere, and large amounts of that dust blow across the Red Sea. The suspended dust imparts a pinkish-orange color to the sly, and there's nary a cloud in sight. The sun becomes an orange ball long before it sets below the horizon. On most evenings, these are the real colors of the Red Sea twilight. God paints the evening sky with a palette of pink, orange, yellow, and gold. 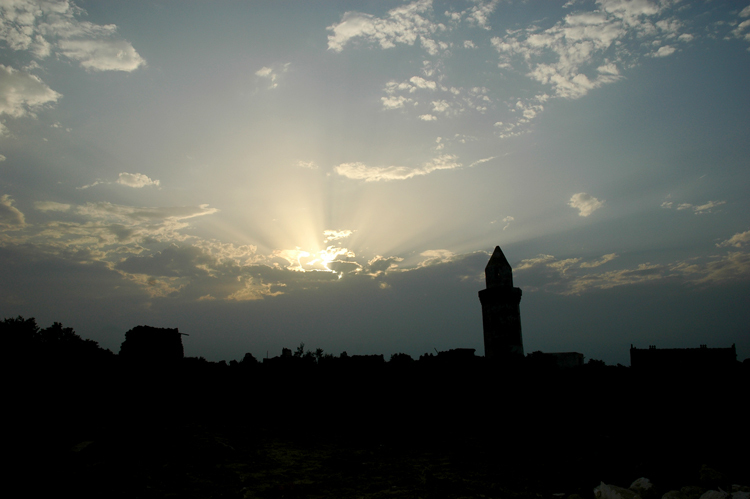 When I lived and worked in Arabia, the sunsets disappointed me until I became accustomed to them. I wanted majestic trade wind sunsets since I was living in tropical latitudes. Instead, cloudless pastel gradients spread curtains of color across the sky. 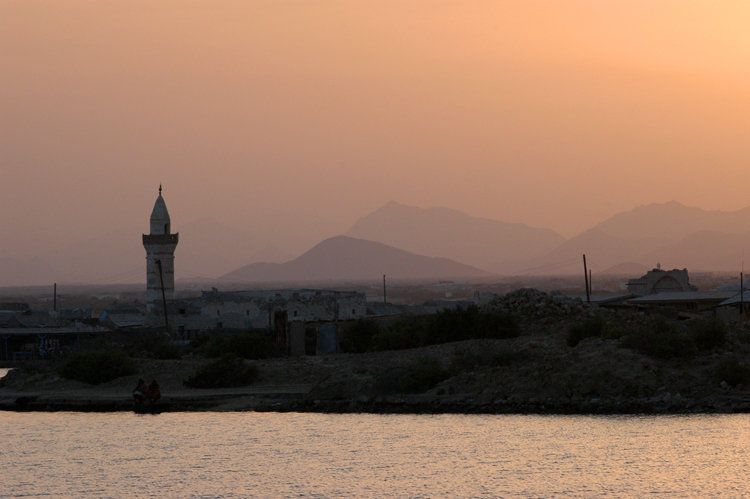 This sunset is at one of the island along the Sudanese coast, looking across the water toward the mainland where the Sun drops behind the mountains of Sudan. 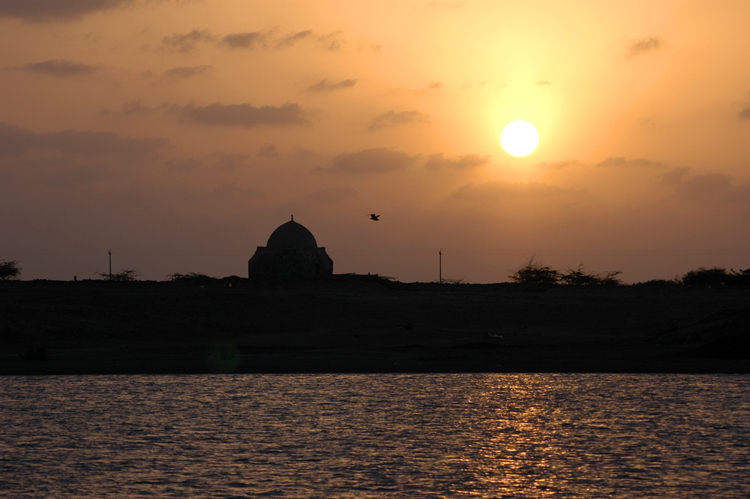 You won't see a Sudanese sunset like this very often. 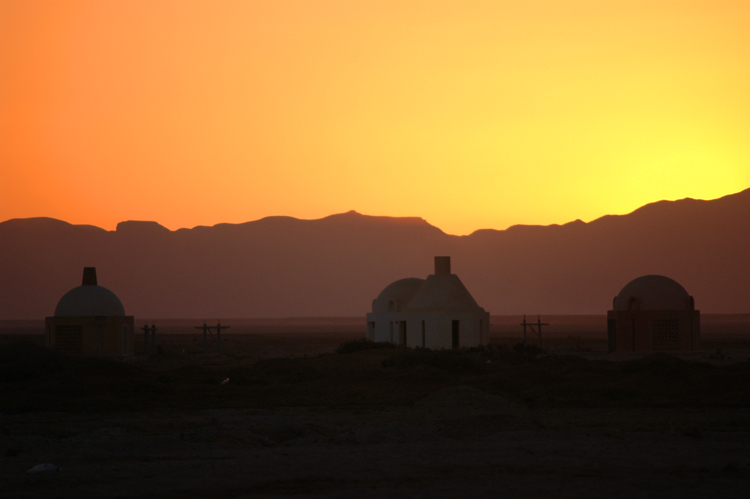 A hard rain can purge the sky of its dust, and orange hues no longer dominate the twilight sky. When I'm not cruising, I miss the spectacular sunrises and sunsets that bracket the story of my life at sea. I feel like I have traded my birthright for a bowl of porridge when sunrise and sunset no longer are a part of my daily life. I often measure the quality of my life by the rising and setting sun. When I can see sunrise and sunset from the deck of my yacht, I know that life is good, and that I am living my dreams.